Spanish citrus exporters are weighing up the potential impact of President Trump’s threat to impose tariffs on a range of EU products in his latest trade spat with the European Union over subsidies paid to the aviation sector. Citrus were among several foods named by the Trump administration on Monday for potential candidates for US$11.2bn worth of tariffs. Although trade with the US represents a tiny fraction of Spain’s overall export volume, it is one of several non-EU markets being targeted for growth. Last season saw a significant increase in lemon shipments to the US. 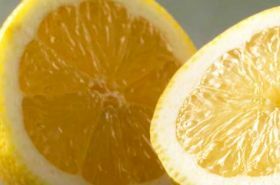 Figures from Ailimpo show that Spain exported 6,315 tonnes of lemons to the US in 2018/19 a 71 per cent increase on the 3,700 tonnes shipped in 2017/18. This was partly because of gaps in domestic supply and partly because Spanish producers face an increasingly challenging situation in Europe. “The US is indeed an export market with potential for growth for Spain and is framed as a key destination within our strategy to increase our sales outside the EU,” Ailimpo’s Raúl Alcázar told Fruitnet. Meanwhile, Spain’s mandarin programme in the US has been declining for some time. “Clementines have been the most important citrus product from Spain to the US in the past, however volumes have declined over the last few years as competition is fierce,” Gavin Pearce, managing director of AMC North America told Fruitnet. Pearce noted that the company still imported volumes of Nules in December and January as many customers appreciate their flavour and quality, and that these could be affected by any tariff introduction, depending on how much it would add to costs. According to Fepex, Spain exported €50.3m of fruit and vegetables to the US in 2018, down from €58m in the previous year. Stonefruit, citrus, apples, pears and avocados are among the main products exported. By contrast, shipments to Canada rose 36 per cent to €93.4m last year, largely due to the implementation of the EU-Canada free trade agreement in September 2017.